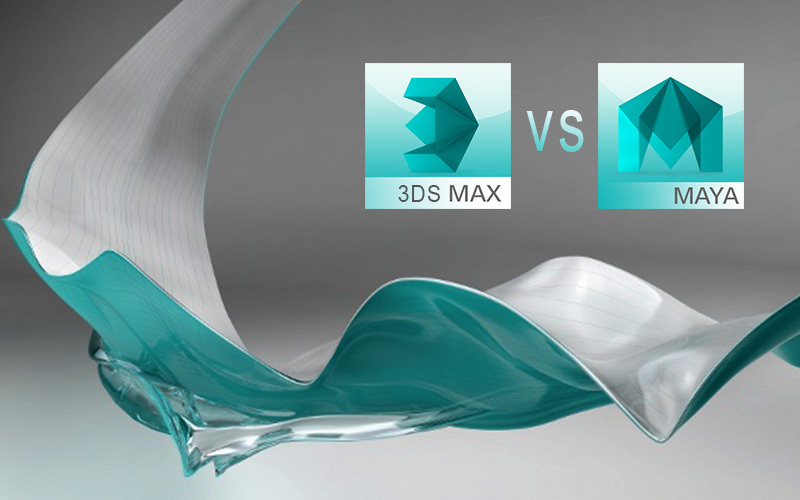 Home Electronics & Gadgets Face-Off: 3DS Max Vs Maya – Who Does 3D Modeling Better? 3D printers are a genius way of printing out objects of interest for decorating, designing, prototyping as well as for commercial purposes. However, for the object to materialize, you have to feed your information to a program, which will build a model accordingly. The model will then be printed out by the printer extruder using a special type of filament, such as PLA. This is basically how a 3D printer works, but using a good 3D modeling software is crucial to creating the perfect shapes and figures. 3D printers require specific software for modeling and sculpting. For scanning, you need a separate 3D scanner, but modeling and sculpting require different software. These software come in three major categories. CAD software generally use fixed geometrical shapes, while Freeform software allow you to create any shape you want. On the other hand, Sculpting software allow you to modify the shape of any existing ambiguous shape, kind of like digital clay. There are many modeling and sculpting software available but four certain software are known to be the most reliable 3D modeling software out there. Let’s take a look at them one by one. Sketchup is already being used in fields like architecture, civil engineering, mechanical engineering and interior designing. The software is powerful yet has an easy-to-use user interface, making it suitable for beginners or intermediate level 3D hobbyists. The software is free though you need to spend money to get the Pro version. This version has more functions and features, along with the ability to create STL files. For your information, 3D printers recognize only STL files in order to start printing. Blender is a free software that can be used by beginners and professionals alike. You can do anything with this software, from animation to rigging, simulation, motion tracking, video editing, rendering to even creating games! Although Sketchup and Blender are highly sought-after software for 3D printing, there are others that are giving them a tough competition. These programs are not to be taken lightly. In fact, they are now outperforming with their innovative toolsets and user interfaces that are quite easy to use. Zbrush, Cura, SelfCAD and Autodesk123D are just a few of those amazing programs that you can try, but there are two particular software which I personally felt showed more promising features for 3D printing. Every 3D printing hobbyist out there wants to know more about 3DS Max and Maya, so I have decided to lay out all the details for you. Depending on your requirements you should pick one that you find the most appropriate for your 3D printer. Before getting to the detailed comparisons, I would like to point out a few things regarding what makes 3DS Max and Maya superb for 3D modeling. Though both are used for 3D printing, they actually offer a lot more. Both 3DS Max and Maya are capable of doing animation, rendering, lighting effects, FX, rigging and much more. The two are also used for game development, films and TV programs; so, they hold high industrial standards. However, the differences lie in the main workflow. Maya is more suitable for animation while 3DS Max (a product of Autodesk) is generally used for architecture, product design, engineering, manufacturing and other commercial purposes. Also, rendering quality in both software is comparable. When you will choose a software for 3D printing you should consider a few aspects. What could be user-friendly for someone else might not be comfortable for you to use, so try to choose a software that you can better deal with. Then you have to decide what you will use the 3D printing for. If it is for a company or for individual purposes, 3DS Max is a more preferable choice. If you want to practice animation or do 3D printing for films and animations, Maya is the better choice. You should also consider the cost of the product. When using both these 3D printing software you can observe various online tutorials to guide you through your problems. The rendering quality of both software is on the same level, so you should choose either one of them based on your comfort level and the 3D printing ideas you want to give life to. The toolset for modeling 3DS Max has a wide range of options and is much easier to use when compared to Maya. This explains why it’s very popular among architects and interior designers. Since 3DS Max is an Autodesk product, it is compatible with all other Autodesk products. On the other hand, Maya is yet to achieve this easy-to-use feature. Maya is a lot more intricate; i.e., the modeling toolset could be very complex. But Maya offers a more robust toolset for sculpting and animation. The scripting languages for Maya are MEL or Python, which allows easy manipulation and customization. Maya is clearly the winner in terms of animation, while Autodesk 3DS Max is better for modeling. Maya is also better for rigging. You can create complex rigs but more programming would have to be done by you. 3DS Max offers rigging as well, but it would not have complex details like what Maya offers. Since Maya uses the MEL (Maya Embedded Language) programming language, it’s highly customizable. Maya users want to be able to customize their own modeling and animation toolsets, which is something 3DS Max does not offer. Tool sets in 3DS Max are mostly built-in. So 3DS Max is more appropriate and user-friendly for users who have just begun understanding computer graphics. If you choose Maya, you should know that it’s compatible with Windows, Mac, Linux and OSX operating systems. 3DS Max, on the other hand, is only applicable for Windows. If you are still thinking about which one is better, try out the free trials on both software and see for yourself. See which workflow suits you best and which user interface gives you more comfort. Maya is for those CG enthusiasts who want to create complex artworks and have no trouble using programming languages like Python and MEL. 3DS Max has been in the market for a long time and has a diverse range of built-in tools, which users can use to easily build and create 3D models. However, using a 3D printer, buying filaments and getting the pro versions of such feature-rich software would cost a lot, so first create a budget. The market has some great yet cheap 3D printers to offer that you can make use of so as to keep your budget low. If you want, you can buy additional features by getting the gaming version of Maya or an advanced version of 3DS Max. Either way, having any one of these will make 3D printing fun and interesting for you. You are open to exploring other software as well but it depends on the type of 3D printer and 3D scanner you use. Your printer might not be compatible to Maya but could work easily with Blender. These kinds of factors should be taken into consideration when you get yourself a 3D printing software to enjoy the numerous benefits 3D printers have to offer.